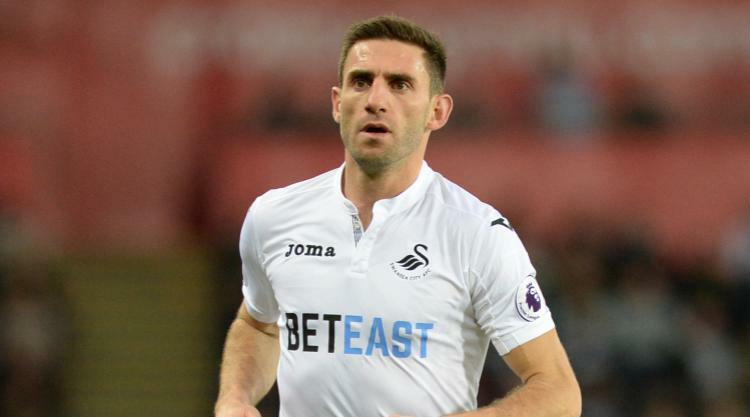 Angel Rangel has been named Swansea's new club captain following Leon Britton's appointment as a player-coach. Britton gave up the captaincy after filling the first-team coaching vacancy left last week by Claude Makelele, who became the new manager of Belgian club KAS Eupen. Full-back Rangel, 35, takes over the captaincy after playing more than 370 games for Swansea since joining from Spanish club Terrassa in 2007. "Given his age, experience and the excellent service he has given to this club over a number of years, Angel is the right choice to be club captain," head coach Paul Clement told the official Swansea website. "He is a great role model and a very good professional who all other players can look up to." Rangel has only made four appearances this season and is yet to start a Premier League game. Argentina defender Federico Fernandez has led the side this season when midfielder Britton has been absent.